As a small child Jiva Goswami witnessed Lord Caitanya bestowing His mercy upon his uncles Rupa and Sanatana and on his father Anupam as well. He saw them manifesting the deepest, most genuine feelings of humility. 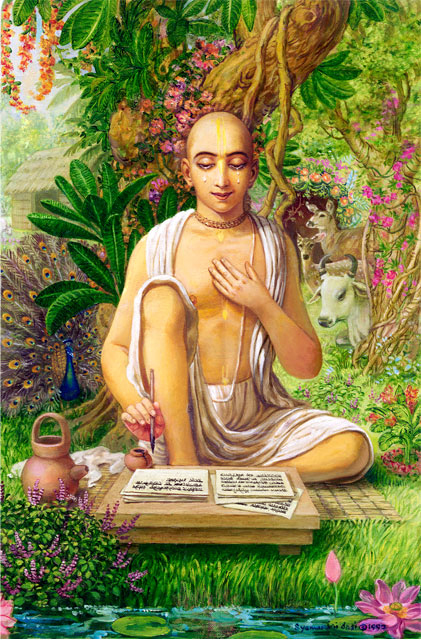 The sight of Sri Caitanya Mahaprabhu showering His mercy upon them left a deep impression in his heart. From that moment this little boy enshrined the forms of Lord Caitanya and Lord Nityananda in the core of his heart and wished for nothing else but to follow in the footsteps of his uncles. Rupa, Sanatana and Anupama were willing to give up everything of this illusory world for the supreme reality of devotional service. After returning from Bengal, Anupama passed away. Little Jiva was overwhelmed with grief and he immersed himself in serving his deities of Krishna- Balaram. 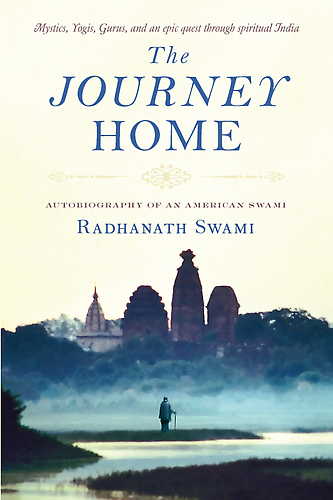 .At night while sleeping, he would embrace Krishna and Balaram very tightly and cry, “when will I go to Vrindavan to join my uncles there.” This is how he spent his childhood.